When you see a “news” story, you need to dig a lot deeper than the headline or the text of the article to know if what you are seeing is fact. This guide provides tips and resources to help you discern whether the news you see and read is real or fake. 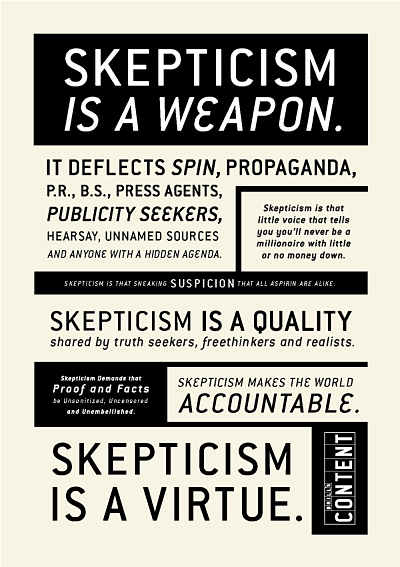 “Fake news” has become a heavily politicized term, however the common-sense definition still applies: “any news that contains intentionally misleading information.” When you see a “news” story, you need to dig a lot deeper than the headline or the text of the article to know whether what you are seeing is fact rather than speculation, opinion, or outright fiction. 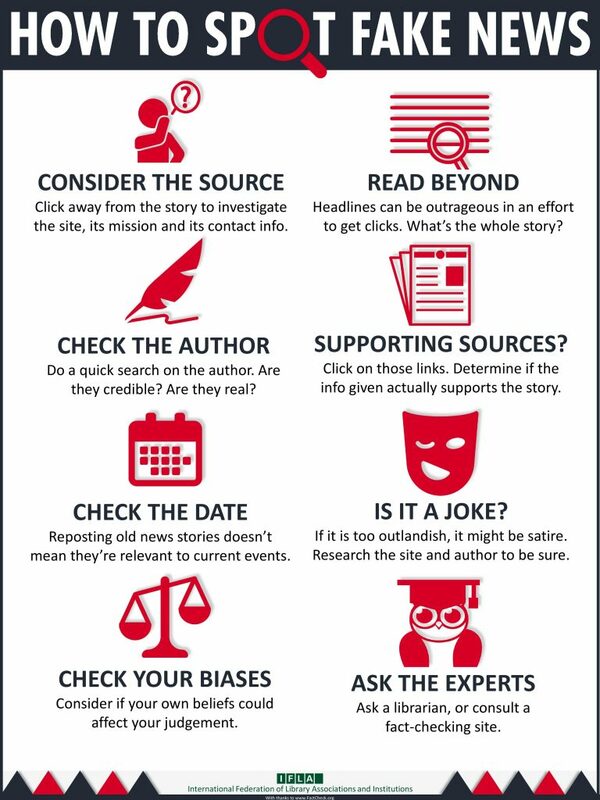 The International Federation of Library Associations (IFLA) has made this infographic with eight simple steps (based on FactCheck.org’s 2016 article How to Spot Fake News) to discover the verifiability of "news" that captures your attention. Check out FactCheck.org’s video based on the article. If you want to make a translation, contact Karolina Andersdotter or Evgeni Hristov at IFLA Headquarters for an editable version of the infographic. The infographic is published under CC BY 4.0. This excellent guide was deveoped by librarians at the CUNY Graduate School of Journalism Research Center. “Falsehood flies, and the truth comes limping after it.”-- Jonathan Swift, The Examiner, Nov. 9, 1710.
International Fact-Checking Day is promoted by the International Fact-Checking Network (IFCN) in partnership with fact-checking organizations around the world. Fact-checking shouldn't be something only professional fact-checkers do. An accurate information ecosystem requires everyone to do their part. "A filter bubble is a state of intellectual isolation that can result from personalized searches when a website algorithm selectively guesses what information a user would like to see based on information about the user, such as location, past click-behavior and search history." Search Engine Land, Nov. 30, 2016. Columnist Ian Bowden illustrates some ways the search giant can tackle -- and already is tackling -- this problem. This Chrome extension is powered by the MediaBiasFactCheck database, and it not only alerts you when you are browsing a fake news site but will clue you into the political biases of legitimate sites as well. Accurate facts do not guarantee truth, after all; different presentations can leave you with very different ideas.